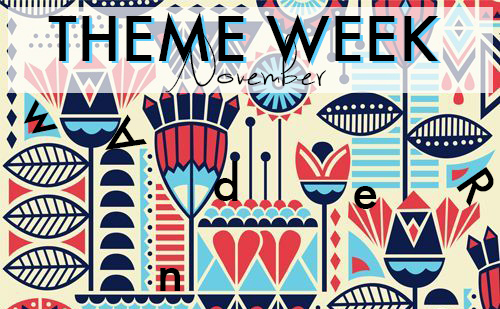 It’s Theme Week again! The theme for this month’s week? Wander. -Where do you like to wander? -Did you see that movie? Do a review! -Show us your wandering essentials. -Do you have any favorite books that explore this theme? -Have an awesome roadtrip story? -Tell us about a time you were lost. PS - If you don't feel like submitting something for theme week, or even if you do, you could always submit something for our zine. *hint hint* More info here.